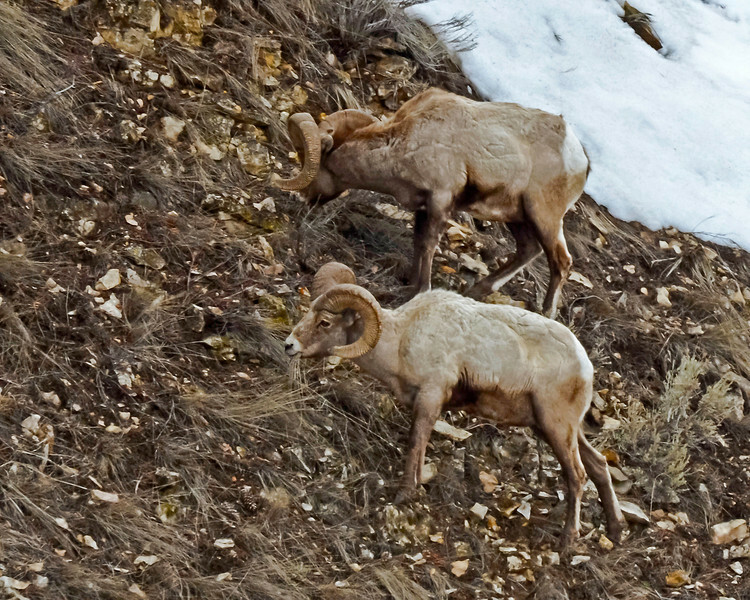 Bighorn sheep (Ovis canadensis) is native to North America named for its large horns. Antelope, there 30 different species world wide but only one in North America. 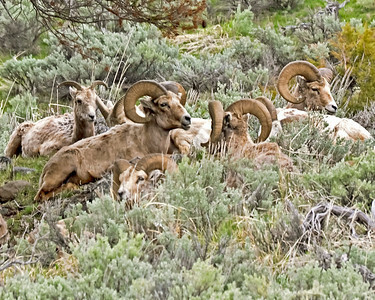 In North America they are commonly called Pronghorns. They are very fleetfooted and can run more than 30 mph. 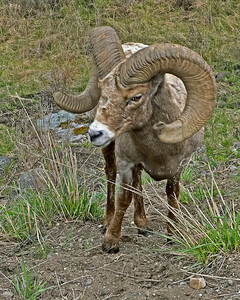 Both Antelope an Bighorns retain there horns through life, were as deer their the antlers annually thus the difference between antlers and horns. 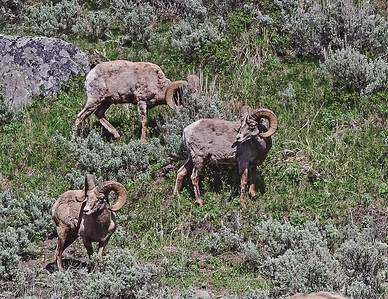 Big Horn Rams in Lamar Valley. 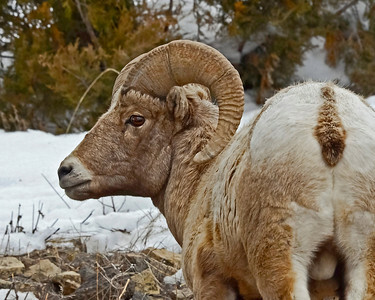 Two Big Hron Rams almost full curl. 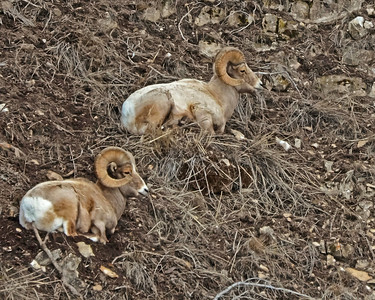 Big Horn Sheep bedded in the Yellowstone River Valley. 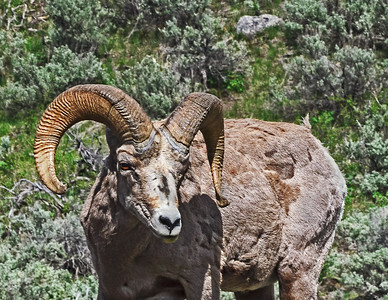 Full Curl Big Horn Ram, Yellowstone River Valley.